Global edible oils market is flourishing on the back of its wide uses in various industries and household purposes. 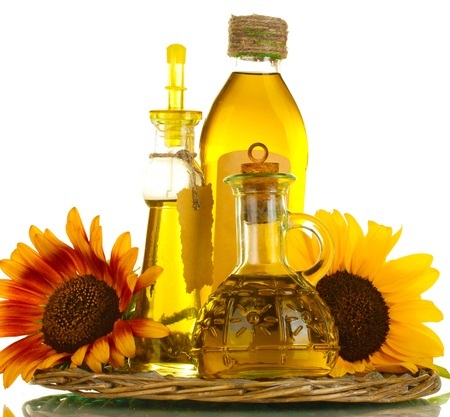 Growing number of health conscious consumers and growing concerns about food contents with fats and cholesterol contents that is responsible for various chronic diseases are major factors driving the growth of global edible oil market. Growing health concern is the major reason that is shifting the focus of manufacturers towards the development of healthy edible oils. Over past few years, major market players invested their efforts and huge investments over R&D to get best possible health beneficial edible oils. In current market scenario, major players are providing edible oils that help in balancing fat metabolism, lowering oil absorption during digestion and lowering blood pressure among others. Manufacturers extended their innovation and research endeavors from products to packaging to increase their consumer base. Manufacturers provide packaging solutions that prevents gurgling and facilitate smooth flow of oils, reducing spoilage. In the firm competitive Edible Oils Industry, major players are adopting various business strategies to sustain their existence and strong position in the market. For instance, Cargill Inc. based on U.S., acquired the Leonardo Olive Oil Business of Dalmia Continental Pvt. Ltd. in 2014. Leonardo is the leading brand of oil and a pioneer in establishing the popularity and use of olive oil in India. The acquisition will help the Cargill group to establish its business in India which is one of the major consumers of edible oil across the globe. Bunge Limited, a global food and agribusiness company acquired edible oil producers Walter Rau Neusser and Ana Gida in Europe in 2016. The company is also looking forward to complete its acquisition of Grupo Minsa in Mexico. Growing global population and increasing expenditures over foodservice industries such as full time restaurants, fast food outlets, caterers and hotels are expected to bolster the demand for edible oils. Availability of wide range of edible oils and broad applications in food and industrial sector are driving the growth of global edible oils market. Rising health concerns also contributed to the development and adoption of healthy edible oils across the world. Edible oil manufacturers are adopting new techniques for the processing and extraction of oil from oil crops. New processing techniques such as cold pressing are introduced to provide healthy and natural edible oil products which have healthier and balanced fatty acid profiles. Rising disposable income is also a key factor for the growth of premium range of edible oils in developing countries. Growing high income population in Southeast Asia, Latin America, Eastern Europe is one of the of the major factors driving the growth of global edible oils industryt. With demand for edible oils growing in developing countries set to surpass that of developed ones. Global edible oils industry accounted for USD 84.6 Billion in 2016 and the market is expected to reach USD 128.4 Billion by the end of 2024. Further, the market is anticipated to expand at a compound annual growth rate of 5.3% over the forecast period i.e. 2016-2024. Geographically, Asia-Pacific accounted for the largest consumer of edible oils in 2016. China and India are the largest importers of crude edible oils in the region closely followed by the Pakistan and Bangladesh. Malaysia and Indonesia are the largest exporters of palm and coconut edible oils to these countries. Australia is one of the largest oil seed crop producer and exporter in the region. Asia-Pacific region is closely followed by the North America with major consumption of soybean and canola edible oil. Europe's demand for edible oils is growing at moderate rate with high growth rate in Easter Europe countries. Major demands for edible oil in Europe are fulfilled by the imports from Africa and Latin America. 8.2.6. Ruchi Soya Industries Ltd.
8.2.11. American Vegetable Oils, Inc.
8.2.13. Fuji Vegetable Oil Inc.